What can I have that is not going to give me to many syns? I won't have starter or dessert! Just a main! Season veg and house salad what would syns on this be? And chicken or steak? 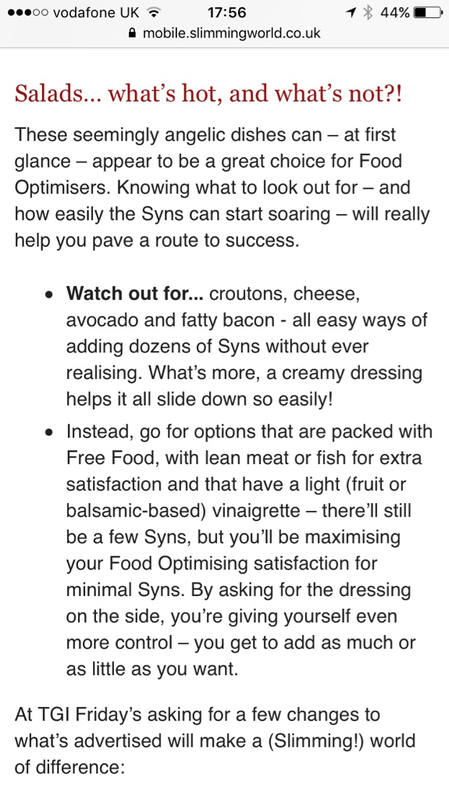 Find more posts on food, optimising, tgif.